International Day of Parliamentarism 2018: Are parliamentary democracies in danger? 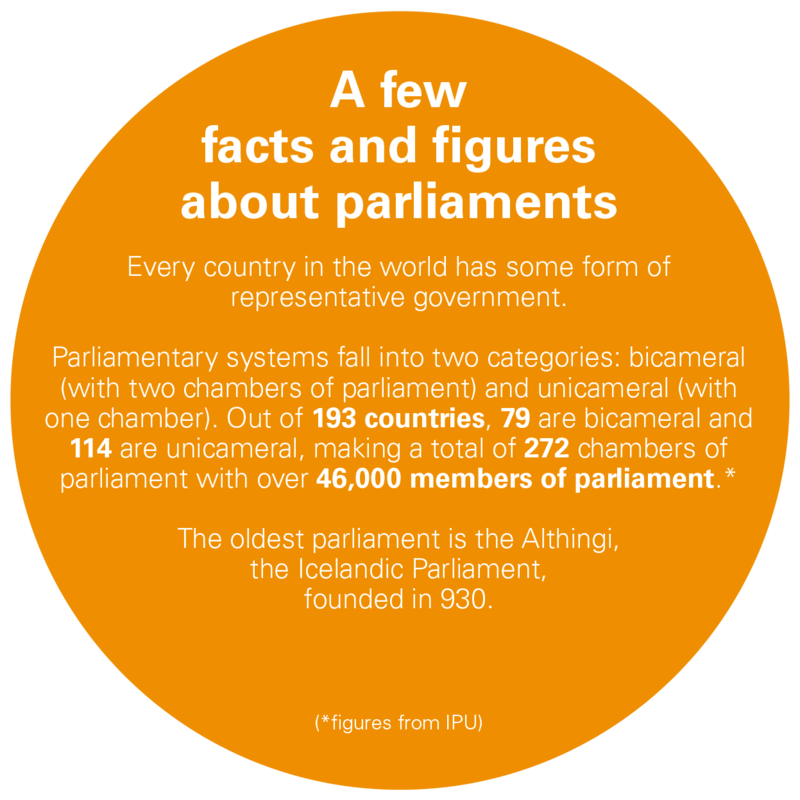 As the world celebrates for the first time, on 30 June, the International Day of Parliamentarism, data on parliaments shows a mixed picture. This date was chosen by the United Nations General Assembly in Resolution 72/278 as it coincides with the day in 1889, close to 130 years ago, that the IPU—the global organization of parliaments—was founded. What is the International Day of Parliamentarism? It is an opportunity to celebrate parliaments, as the cornerstone of democracy, and as institutions designed to improve the lives of the people they represent. It’s also a time to take a snapshot of the state of parliaments in 2018, to monitor progression but also identify challenges. In an age of many problems – from climate change, mass movements of people, to the rise of populism and autocracy – the world needs its parliaments more than ever before. 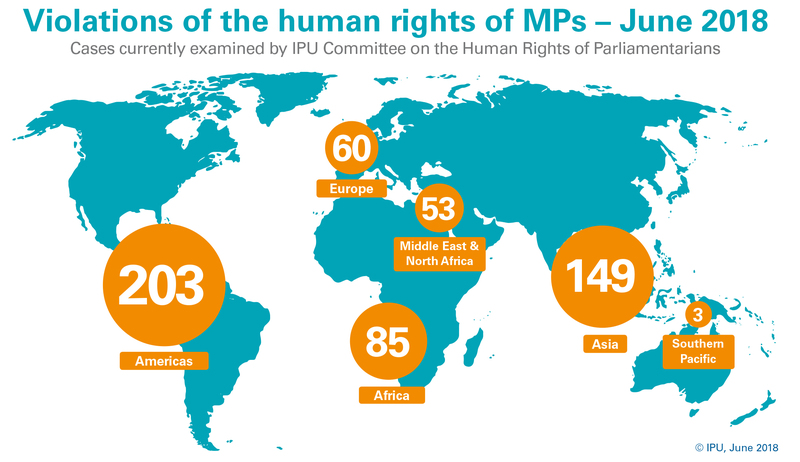 From the IPU’s unique worldwide vantage point, and its privileged relationship with parliaments, we note some flashpoints. Are parliamentary democracies in danger? How can we protect the human rights of MPs in countries where they are under threat and actually violated? How can parliaments better represent women and young people? How can parliaments keep the trust of the people? How can parliaments develop to meet the challenges of today? On this page, we attempt to answer some of those questions using IPU and other data, as well as 1-minute video interviews with some leading parliamentarians. We also highlight some success stories as parliaments critically assess themselves, adapt to new technology, and take action to better represent people, and deliver on their expectations. Read more about MPs and human rights; women in politics; youth participation; parliaments now; and watch micro-videos of messages from leading parliamentarians. Follow the conversation on Twitter: #WorldParliamentDay. Overall, there has been progress with women’s average share of parliamentary membership increasing from 17 per cent in 2007 to over 23 per cent today. 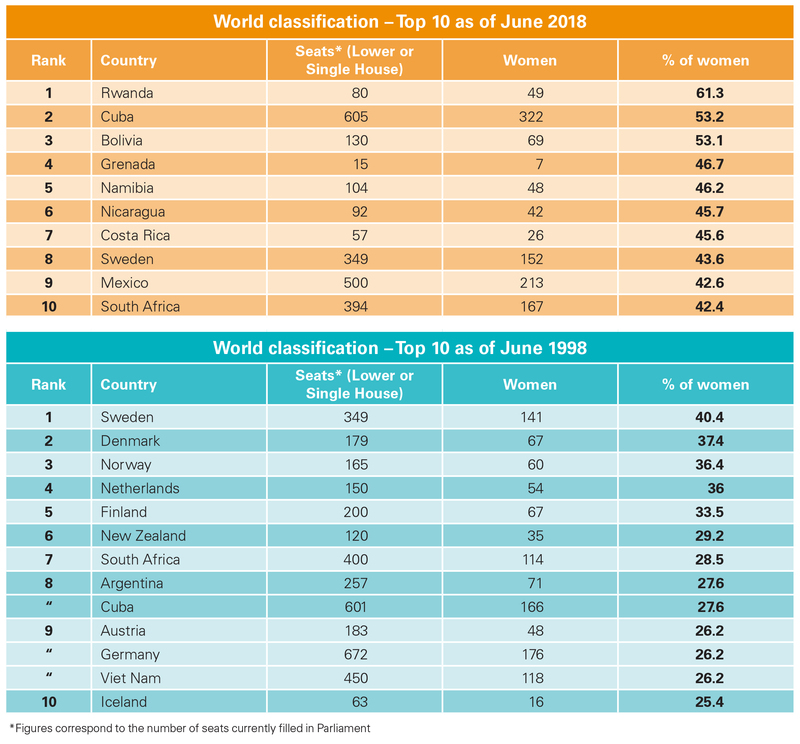 The group of top 10 countries with the highest number of women MPs has also become more diverse in the last 10 years: the top 10, dominated by European countries in 1998, now also includes sub-Saharan Africa and the Americas. For the second year in a row, the percentage of women in parliaments has barely budged, at 23.4 percent in 2017 compared to 23.3 in 2016. Before 2016, annual progress was 0.6 percent while in 2017 it dropped to 0.1 percent. A 2016 IPU study  found that 82 percent of women parliamentarians had experienced some kind of psychological violence. Parliaments, often with IPU support, are rising to the challenge. Women’s parliamentary caucuses are proving to be useful mechanisms to consult women and channel their needs into the work of parliaments. The support provided by the IPU to women’s parliamentary caucuses is beginning to generate tangible results. For example, in 2017, IPU support allowed Mauritania’s caucus of women MPs to travel around the country to consult with women and girls, particularly in rural areas. Following the consultations, MPs of both genders were able to address the socio-economic needs of rural women and girls in the parliament. In the last 10 years, requests for the IPU’s technical assistance have doubled as more and more parliaments ask for help to face these challenges . Based on more than four decades of experience on parliamentary development, the Common Principles for Support to Parliament, designed by the IPU together with partners, offer guidelines for those receiving or providing support to parliaments. The guidelines are designed to improve the quality of the support and to encourage the parliamentary community to work together more effectively. Watch 1-minute videos from leading parliamentarians here.